Whether you are searching for glasses or contacts, thinking about laser vision surgery, or looking to treat issues such as astigmatism, presbyopia or near/farsightedness, Vold Vision is a leader in advanced eye care. We achieve this everyday through our skilled and highly capable world-renowned eye surgeons, led by award-winning board-certified ophthalmologist and optometrist, Dr. Steven Vold. His pioneering contributions to the field enable our eye surgeons and staff to provide state-of-the-art care. Our vision correction procedures at Vold Vision offer life-changing solutions as we establish lasting relationships with patients to ensure every aspect of their vision health is a top priority. "I have always had great service here. Dr. McFarland is very knowledgeable - he helped me look into laser vision correction options and actually advised that I keep wearing contacts for my prescription. I appreciated the honesty!" "Vision correction surgery was yesterday. Very happy today. Day 1 of recovery. So far going well. Very happy with the clinic and the services I received. Day after follow up was this afternoon." 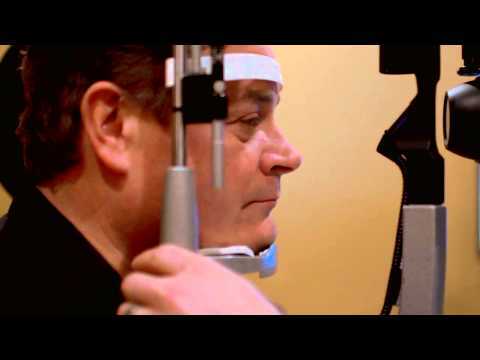 "I have researched vision correction options for years and have finally found the technology and provider that gives me confidence to move forward. At the LASIK After Hours event this evening, I was very pleased with the level of attention given to me and to the big picture of my vision needs and personal preferences. I appreciate their care to this point and look forward to my procedure experience." "SMILE surgey - I had very positive experience with Dr. Vold performing my recent SMILE vision correction. The staff and doctors have been great and have been accessible for questions or concerns." "The best place to get LASIK. The procedure was fast and painless, and I could see the difference as soon as the surgery was complete. The whole process from the consultations to the checkups after the surgery have been simple and effortless. I felt at ease the whole time, mainly due to the personal and professional atmosphere provided by the staff. Highly recommend Dr. Vold for Laser vision correction." This is a very common issue people have with their eyes. The National Eye Institute has reported that myopia has exploded from affecting 25 percent of the United States population in 1971 to over 40 percent today. No one has ever identified a certain cause for the increase, however many eye doctors suspect it is related to increased computer use and other increased near-vision work and technology devices in which people are engaged. Regardless, people who are nearsighted will have difficulty reading roads signs and things in the distance, but still be able to clearly see objects up close. Symptoms include squinting, eye strain and headaches. This is such a common vision problem that about 25% of the US population struggles with it. People who are farsighted will have difficulty making out objects up close, but will have relatively minor issues making out distant objects like road signs and buildings. Farsighted people may get headaches and squint when working with tasks at close range. Presbyopia commonly starts around age 40. Common onset symptoms include not being able to read small type or suddenly realizing your computer or smartphone looks fuzzy. Over 2 billion people can’t escape presbyopia, even if they’ve never had vision problems before. The main issue with presbyopia is more emotional than physical since it’s a typical sign of aging that’s impossible to ignore. Since it’s an age-related condition, it is different from astigmatism, nearsightedness, and farsightedness, which are due to the eyeball’s shape whereas presbyopia is from your eye lens getting thicker and less flexible. This is commonly the most misunderstood vision issue. Like nearsightedness and farsightedness, astigmatism is also due to refractive problems in the eye, which means it’s having a hard time focusing. Fortunately, this also means that an astigmatism is not an eye disease or eye health problem, but simply from light failing to come to a single point of focus on the retina. Since the eyeball is more oval than round, it causes vision to be blurry for both close-up and distance objects. There are three main types: myopic, hyperopic and mixed. Many children have this issue early on, so it’s recommended to schedule a Vold Vision 360-Eye Exam for your children as soon as possible to prevent further damage from an uncorrected astigmatism. If you’re suffering from any of the conditions above, a 360-Eye Exam at Vold Vision can help establish a treatment plan that may be remedied with glasses, contacts, or laser vision corrective surgery. Bifocals: two clearly defined zones for distance and up-close work. Contact lenses are an excellent choice for people who require some sort of vision correction, but for whatever reason, simply don’t want to wear glasses or have laser surgery. Contacts have become more popular than ever. According to the U.S. Centers for Disease Control, over 40 million people wear contacts. The first thing to decide in regard to contacts is what type of material to choose. Soft lenses, silicone hydrogel lenses, gas permeable lenses, hybrid lenses, and PMMA are the most common used today depending on your vision diagnosis. Until the late 70s, everyone took out their contacts and cleaned them every night until the introduction of extended wear lenses. These enabled users to wear them for up to a week without removal. Nevertheless, lenses should be replaced frequently to prevent the build-up of deposits and contaminants. Advanced Laser Vision Correction is a procedure that corrects vision by reshaping the cornea using the precision of excimer laser technology. It is one of the most popular forms of vision correction due to its accuracy, safety, quick recovery time, wide range of correction and minimal discomfort. The entire procedure takes only a short time. Both eyes can be done the same day and no stitches or patches are necessary. Advanced Laser Vision Correction can be a safe and effective procedure that, in the hands of a highly trained and experienced ophthalmologist like Dr. Vold, can reduce and sometimes eliminate dependence on glasses or contact lenses. Patients who are nearsighted, farsighted and have astigmatism can benefit from Advanced Laser Vision Correction. Results are impressive. In fact, once your eyes have healed, it is not uncommon to see 20/15 (that’s better than 20/20) and enjoy life with more freedom from glasses and contact lenses. Deciding on who to trust with your eyes is a big decision. Deciding if glasses, contacts, or laser surgery is the right choice is a determination that you and your Vold Vision eye doctor will decide together. Dr. Vold and his highly trained team of opticians will carefully help you find the best fit for your needs and tastes in our expanded Optical Shop, with a vast selection of eyeglasses, contact lenses, and designer frames and sunglasses. With their help, you will easily focus in on the most effective vision solution. In some cases, laser vision correction surgery is the answer and will surpass glasses and contacts to result in clear vision.